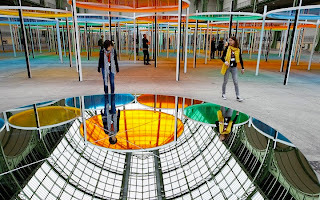 the offbeat sessions: Monumenta: M&M or Rainbow? 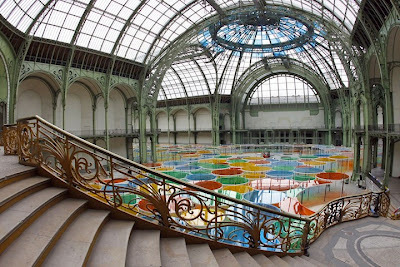 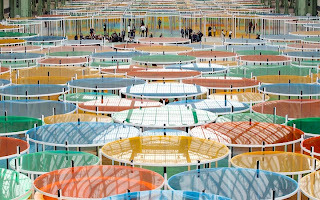 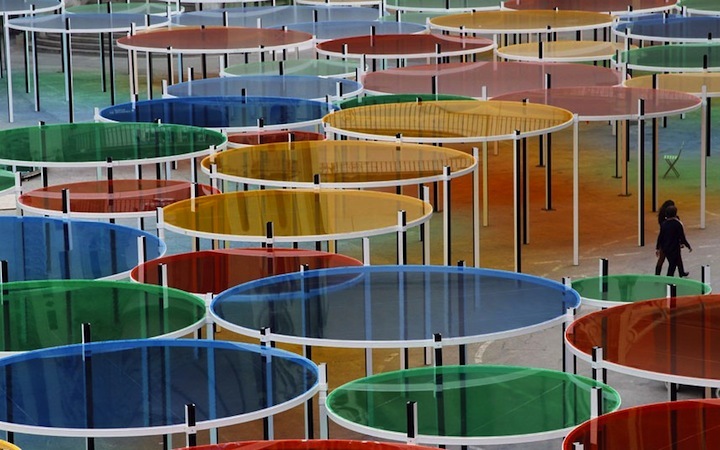 Following Anish Kapoor's massive installation at the Grand Palais Paris, French conceptual artist Daniel Buren had big shoes to fill. 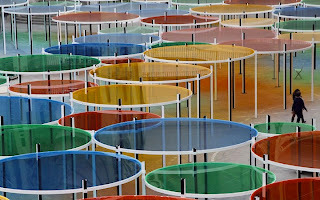 Quite frankly, he overdid himself and produced a splendid surprise for the art enthusiasts living within the vicinity. 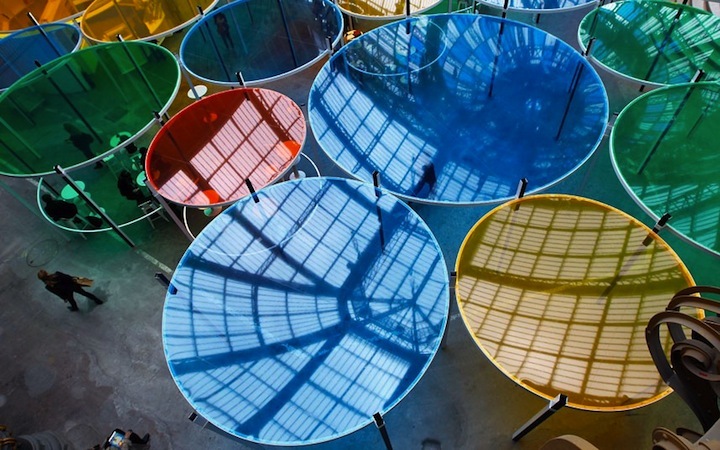 His installation, entitled Excentrique(s) is incredibly beautiful. 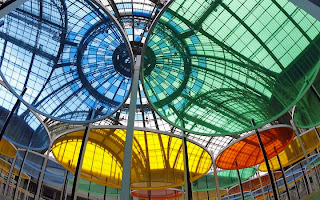 From a distance, these rainbow colored disks appear like giant M&Ms that double up as both eye candy and tree of life. Exentrique(s) translucent circles, colored in red, blue and green create a second roof that is approximately eight feet high. As we all know, Grand Palais' marvelous, monumental structure is one of the best exhibition spaces because of its raw appeal, allowing as much natural light to enhance the unique characteristics of the installation it houses. 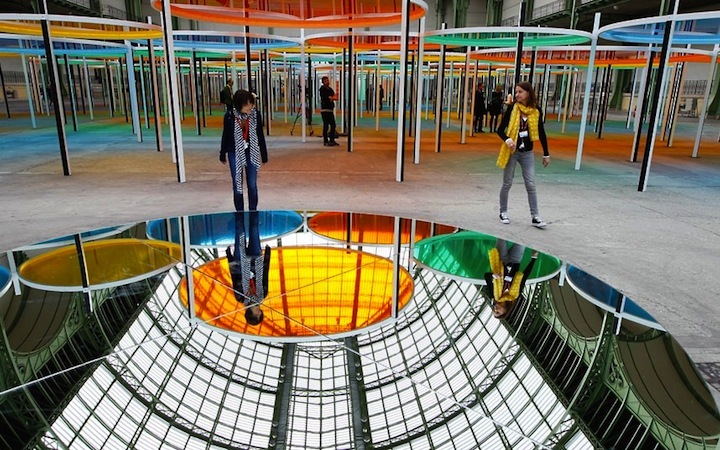 As light streams through the windows above (ceiling), the installation becomes a live. As a part of Monumenta, the installation will be open to the public TODAY, May 10th through June 21, 2012. 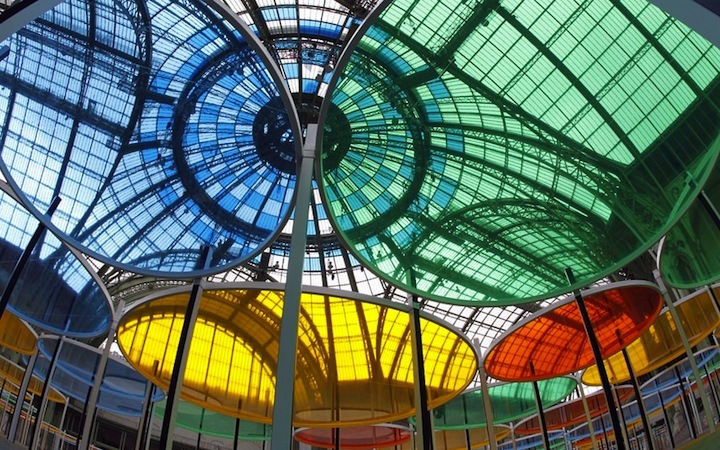 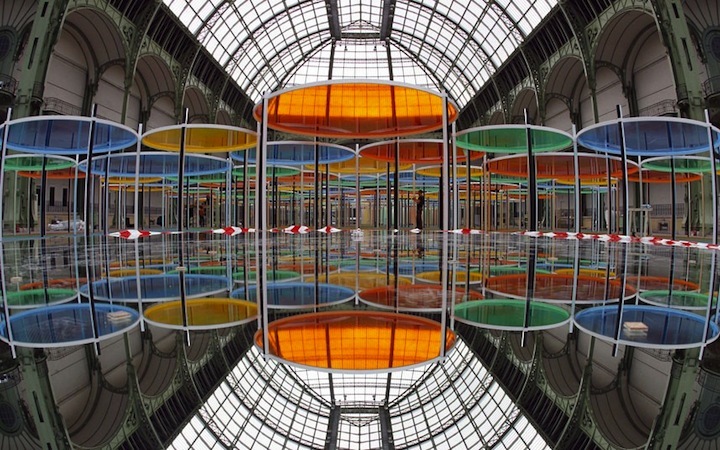 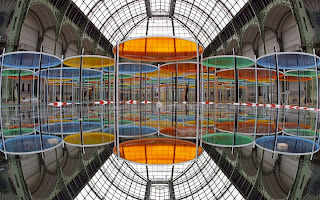 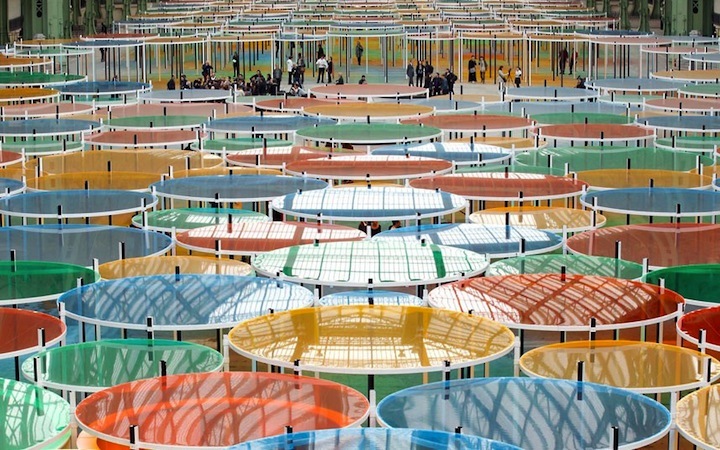 So, big applause to the fifth artist to take on annual Monumenta project: Daniel Buren. 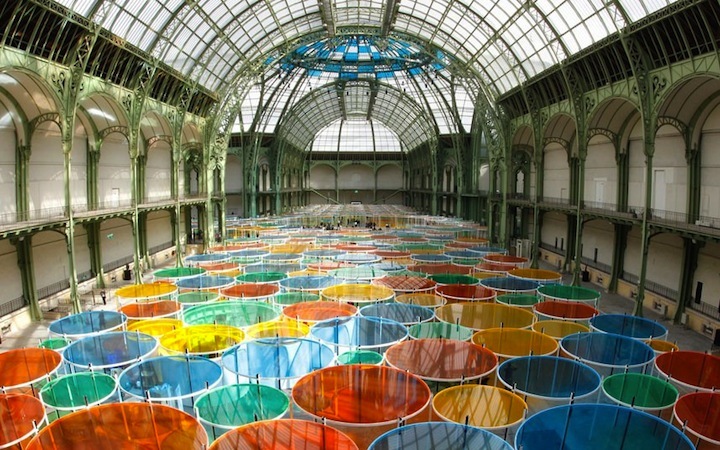 Thank you for brightening up Paris with your rainbow colored forest!